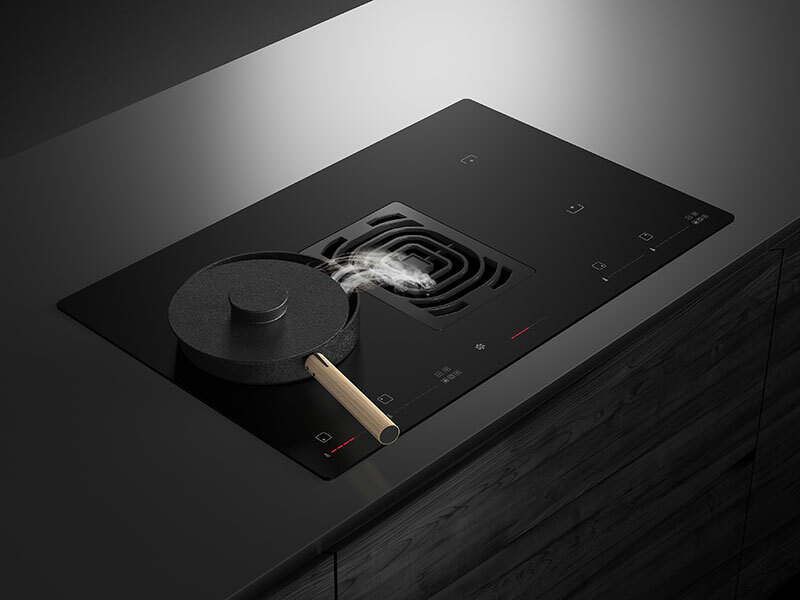 The combination of an induction hob and a hood does not seem to be obvious. However, the duet is a special mix of functionality and, first of all, silence. The Wizard thanks to innovative solutions of process engineers from Ciarko and its new brushless BLDC motor, is one of the most silent devices in its class. Its construction and installation is incredibly simple, which is why the client gets incomparably more space directly under the kitchen top for e.g. an extra drawer for cutlery or spices. Additionally, the device is easily cleanable as filters applied in this model can be washed in a dishwasher and smoothly disassembled.